A long time ago, before even IKEA was created, the boundaries between countries in this area were quite different. 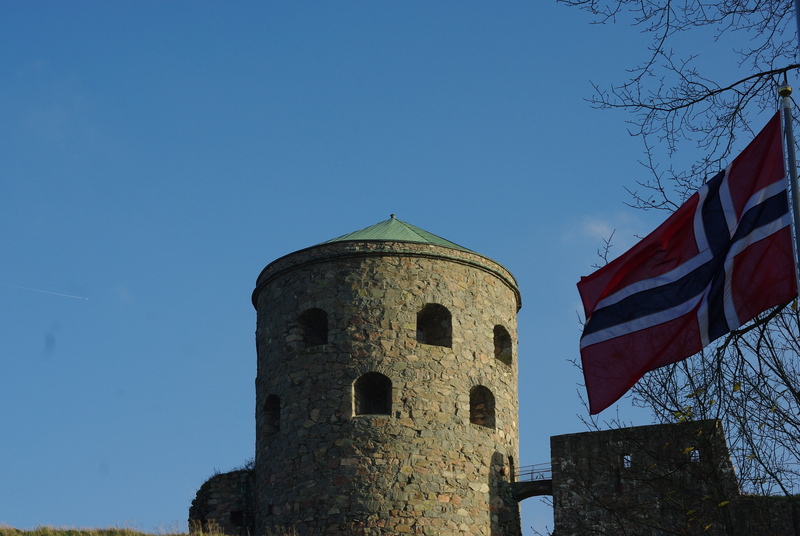 Norway and Denmark vied for ownership of the region, and as the lines shifted castles and fortresses were built and attacked and built again. 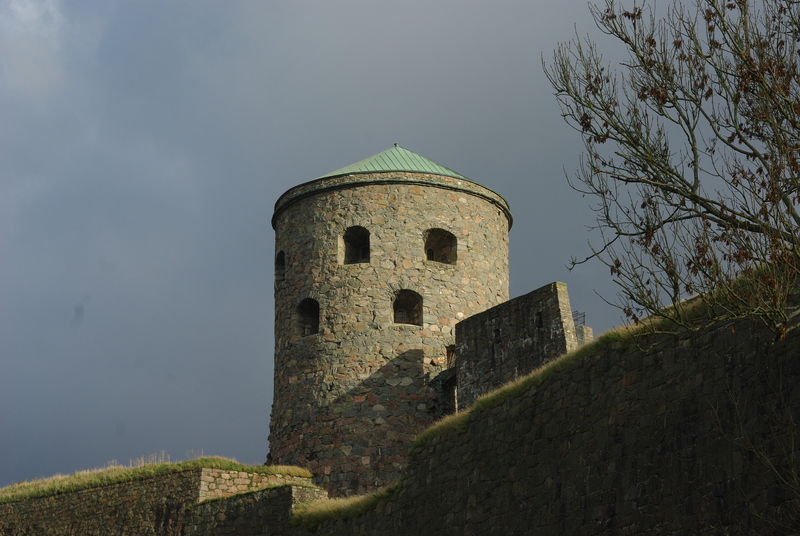 There are the two smallish fortresses now within the city of Göteborg, one up at Marstrand, another along the river and one further inland. I’d heard a bit about this last one and was curious to compare it to the others I’d seen. The chance presented itself a few weeks ago, which was how I found myself attempting to climb Medieval walls and completely failing. 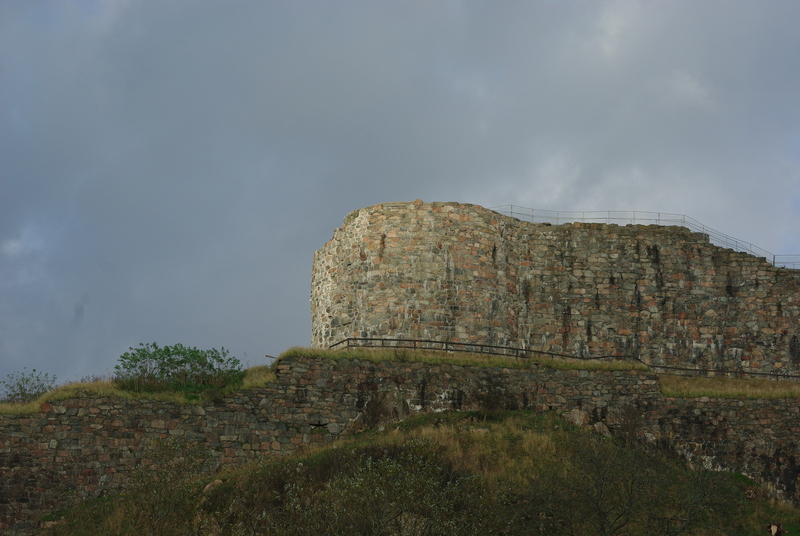 Bohus Fortress lies about 20 minutes out of town by bus, and the first sight I had of it was the tall, round tower that rises above the thick walls. Even at a distance it’s impressive, and as we approached the walls loomed above us. The fortress is set on an island that is reached by two bridges on either end, and though the island had once been covered by the town that surrounded the fortress, the hills and small valley now consist of trees, grass, a bit of wilderness and a visitor’s centre. 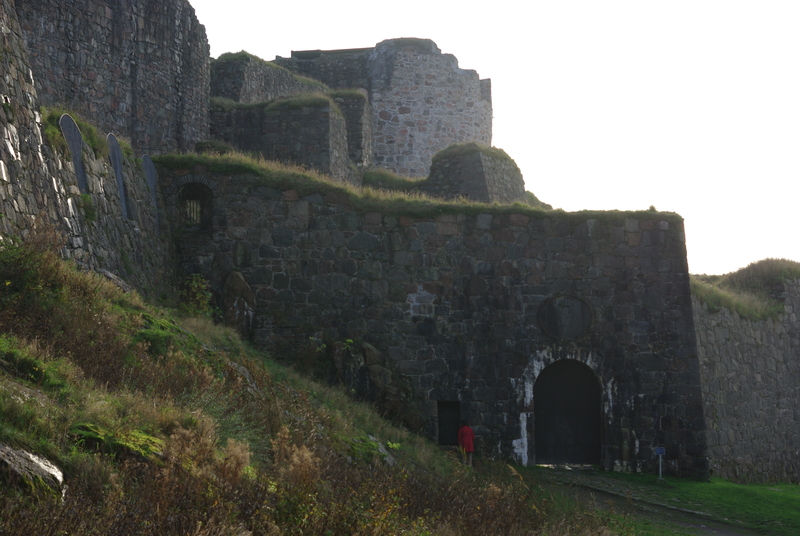 The fortress is now a museum and would usually have been open for visitors if we had visited in summer. Unfortunately it’s now closed, so our visit was restricted to peering up the walls, attempting a bit of climbing and exploring the island. A small locked door on one side showed an echoing, dripping passageway, still lit by lights from some sort of event. Climbing over a fence brought us to scatterings of mushrooms and views over the swampy river and what had once been the town. At all times the walls peered down at us impenetrably, and we decided that once summer returned we’d make another attempt at the defenses. 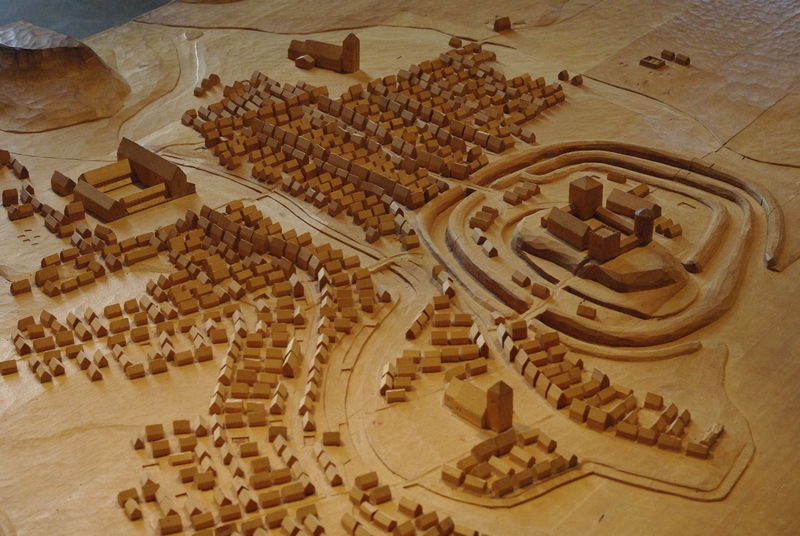 I should perhaps mention at this time, for the sake of my mother, that Bohus Fortress was built by Norwegians and was never captured. There are still Norwegian flags at the site in case anyone was at risk of forgetting this. As clouds began to cover up the brief blue skies, we headed over the bridge that lead to the town of Kungälv which we had never visited before. It turned out to be very lovely, our first few impressions being of narrow cobblestone streets, old-fashioned two storey houses and small, young families walking their dogs/children. A look at a map promised some sort of historical landmark in the centre of town so we followed the old street, beneath the shadow of the hill on the right, past houses, shops and then suddenly a shopping area. By this time, however, we were both feeling quite hungry and so decided to leave the mysterious landmark for now and instead focus on dinner. Although it was only around 16:30 the dark comes quickly way up here and the urge to settle down with a plate of something tasty was growing strong. We decided on an Italian place back where we’d started and so a short bus trip later found us settling down to pasta and pizza, while I hoped that my bright pink gumboots weren’t too conspicuous for a restaurant. Dinner finished, and gumboots unremarked upon, we arrived at the stop just in time for the next bus to Göteborg, looking forward to the next time we could visit this very nice little town sitting in the shadow of a fortress. Recently I had an entire day to myself, during a week free of classes and work, and so I escaped the city for a little while. I had an urging to visit a museum, and spend the cloudy coldness absorbed in artifacts and old stories. Which is how I found myself at a train station, surrounded by fields and chirping birds, in a valley that had once been the centre of Västra Götaland. Those who have peeped at the history of Göteborg may know that it was officially founded in 1621. Ok, but what about before that time, you may ask, at such a significant point between Denmark and Norway there must have been some sort of settlement, you may point out? There were, seemingly shifted down the river Älv with time as boundaries shifted and kings had great new ideas. 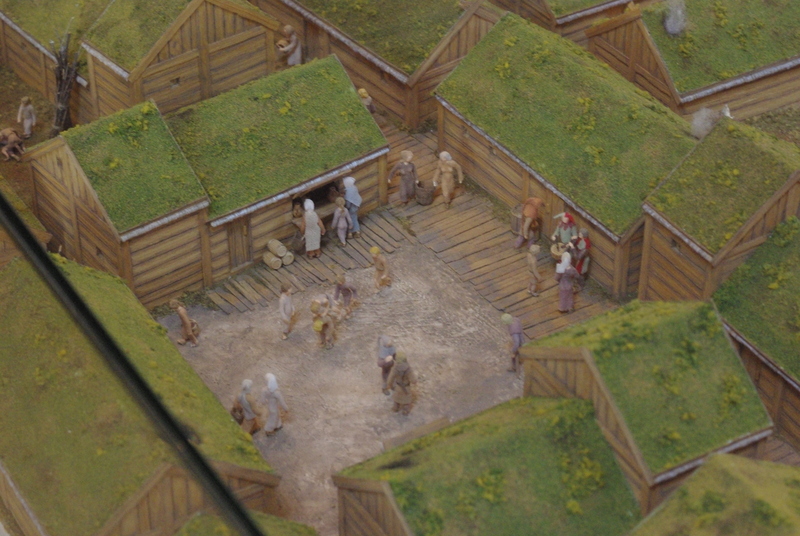 The first of these towns on record was Lödöse, located about 40kms up the river from Göteborg. It was here that I went on that day, or to be specific, it was to the museum of Lödöse. 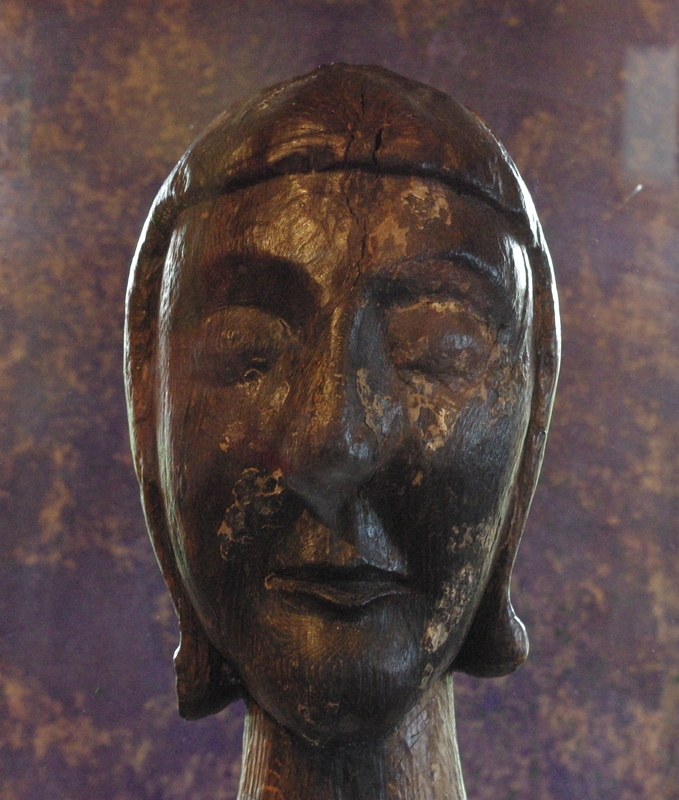 Lödöse has faded somewhat over the years, now boasting a population of around 1300 according to Wikipedia, but in the museum at least you can get a sense of what it must have been like when it was a thriving trading city. The museum is full of pot and glass shards from all over Europe, the fragments of a Venetian glass hinting at the wealth that must have been here, as well as signs from everyday life. There were replicas of houses, clothes and a case with rune carvings, and mysterious fragments left from churches and the various inhabitants. I spent a while wandering among these, before climbing up to the second story, where the theme seemed to cover history in a much more general sense. There were artifacts again, but rather than a plaque stating the archaeological equivalent of ‘I donno’, there were cartoons depicting suggestions in a style that didn’t ask to be taken too seriously. There was a section about evolution, religion and race biology, which certainly didn’t pull any punches in terms of Sweden’s own history of eugenics and the clash between science and religion. 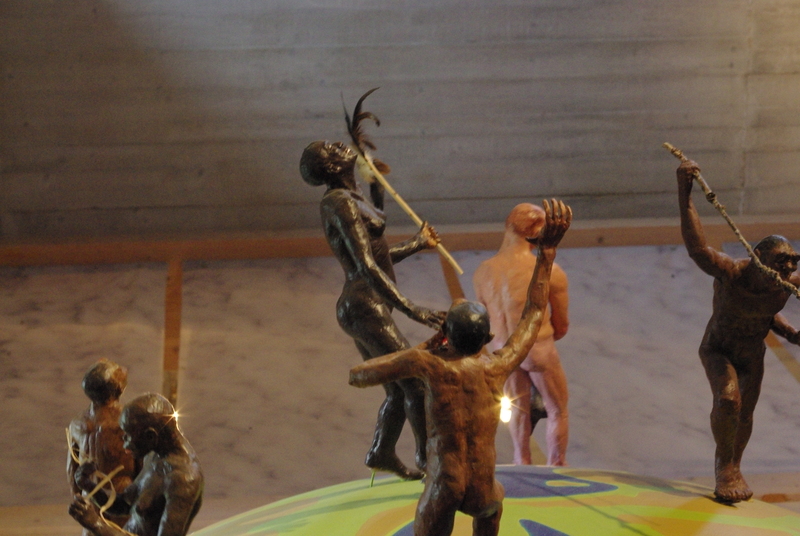 Facing it was a slowly rotating globe on which stood figures from the evolution of humans, caught with a fish, a spear or empty handed, leaping from the lands they’d been discovered in. 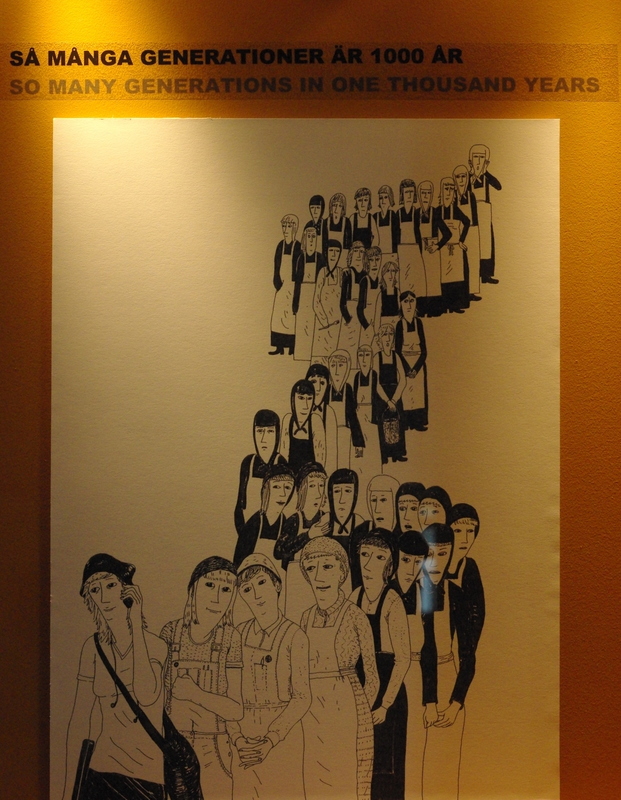 There was a cartoon showing previous generations, a queue of women in gradually modernising clothes, at the end of which was a woman with a phone. It made me very much want my own history sketched out, so I can see the faces of the ladies who preceded me. After a final poke around the rest of the museum, the library and a snack, I headed out to wait for a bus, taking in the suburban modernity that has mostly buried the old town. 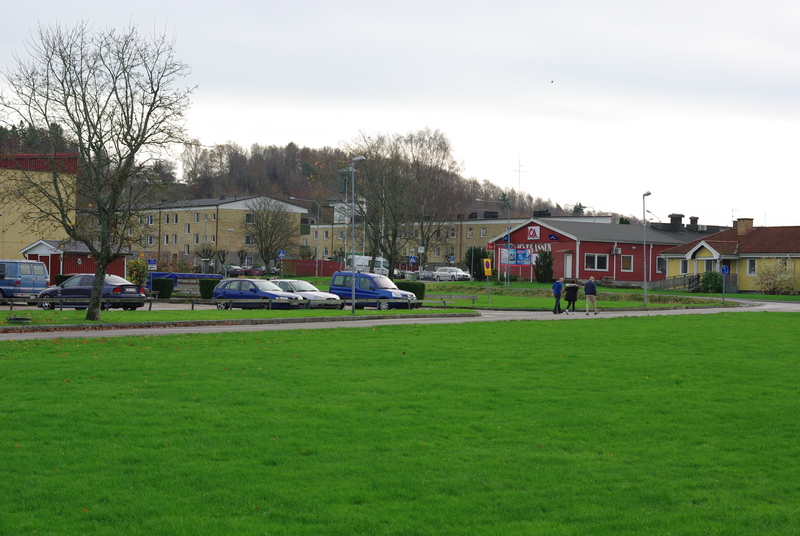 Soon the bus arrived and took me on the next leg of the journey: Åmål. I kid, I got of the bus before it got there. Because Åmål. 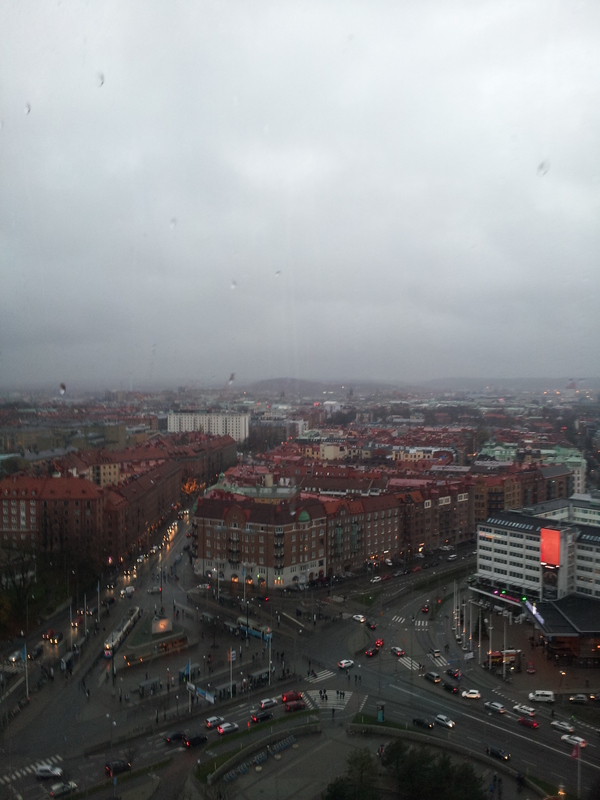 After about an hour on the rather comfortable bus, I got off at Vänersborg, and miraculously the weather began to clear. 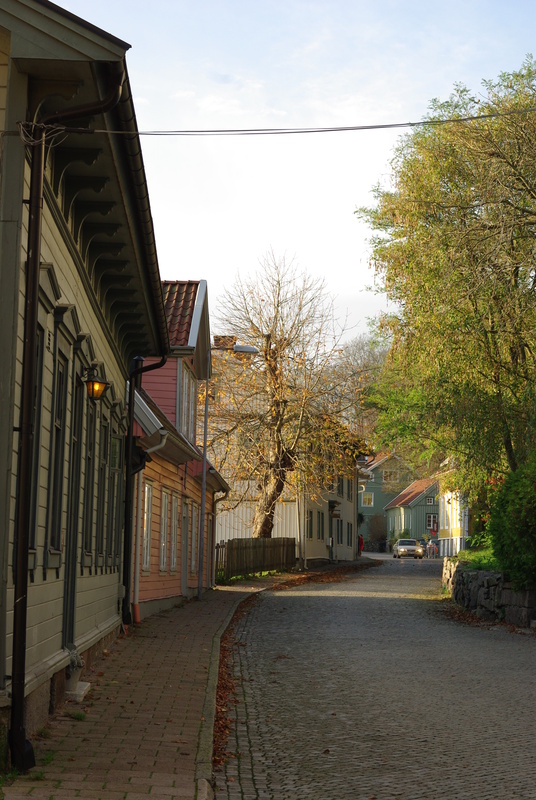 As the name suggests Vänersborg lies next to lake Vänern, near to the starting point of the river Älv. 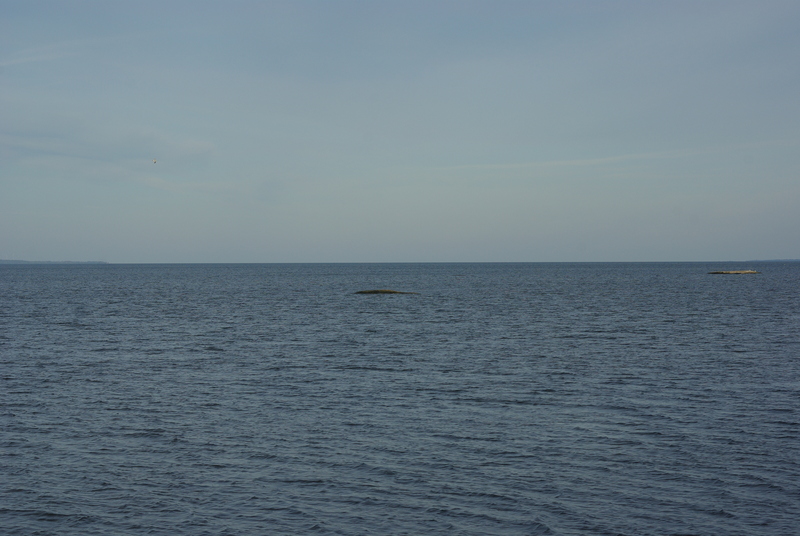 Lake Vänern is the largest lake in Sweden, and the third largest in Europe, so it is no exaggeration to say that it is really very big. 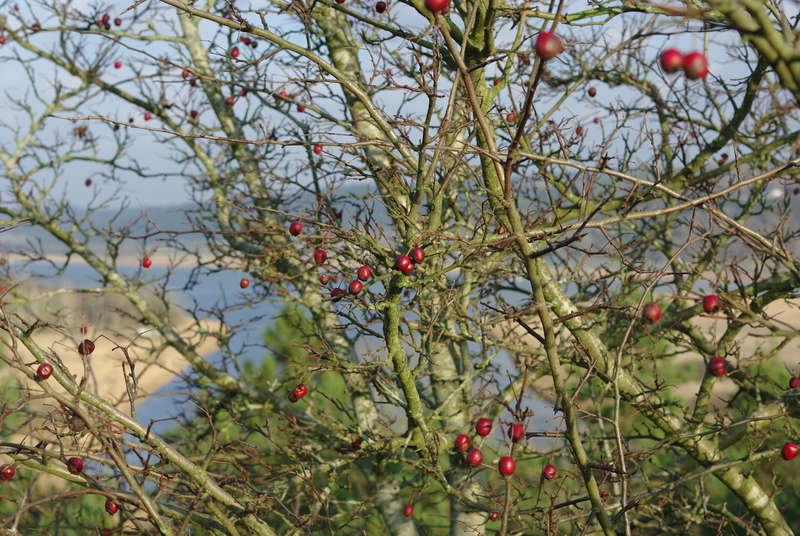 I’d seen it once before and marveled at the complete lack of anything within vision on the other side. 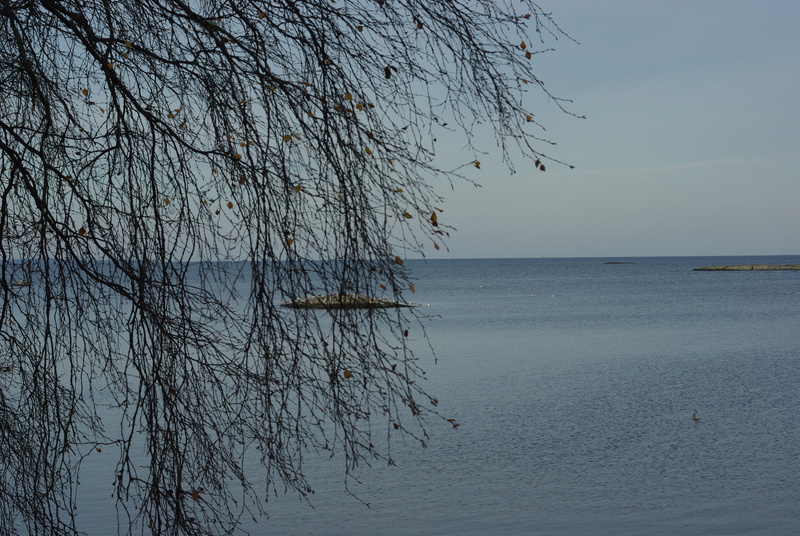 The lake was the main reason I wanted to visit Vänersborg, so after hopping off the bus I headed along the canal to the edge of the lake. As I went past an apparently normal block of flats and cafes I was hit full in the face by a very familiar smell. People who haven’t been to Australia may have been reminded of a brewery or a yeast factory. If you have been to Australia you would have instantly recognised the heady smell of vegemite. As there was no Kraft factory or back-packers in sight, I have to assume that it was from something beer or yeast related. At least until I next get to investigate. The lake edge was reached through a park, complete with statues, bowing willows, shimmering birches and a fountain. The lake at this point was narrow, but in between the distant hills was empty water. It’s a strange feeling to be inland and feel as though you’re staring out at the sea, imagining continents in the distance. After turning away from the lake, I headed into town and found freshly cooked pancakes swimming in jam and cream, which I gave a thorough eating. It was then time for the train home, so with a last look around the the town I climbed onto the train and began the journey back into town. It followed the path of the river Älv, including the wide valley where an old trading town had once ruled the region, before the town was pulled as I was to the coast and the future. Growing up in Australia, Halloween wasn’t a big thing in my life. It seems often to have been associated with sniffs and ‘oh, that’s all a bit Americanised, isn’t it?’ which usually leads straight into a rant about how every year Christmas decorations are out earlier and earlier. There was neither trick nor treat on my street, pumpkins were left unscathed and costumes were something you got for themed birthday parties. Here in Sweden there’s a similar sense of not taking it too far, but in addition there’s another tradition underlying the new, and as with Jul it concerns light. Halloween at our apartment started with a frenzy of baking, in which I decided that festivals are basically about food and on a cold rainy day, fiddling about with an oven and sweet food isn’t a bad way to go. 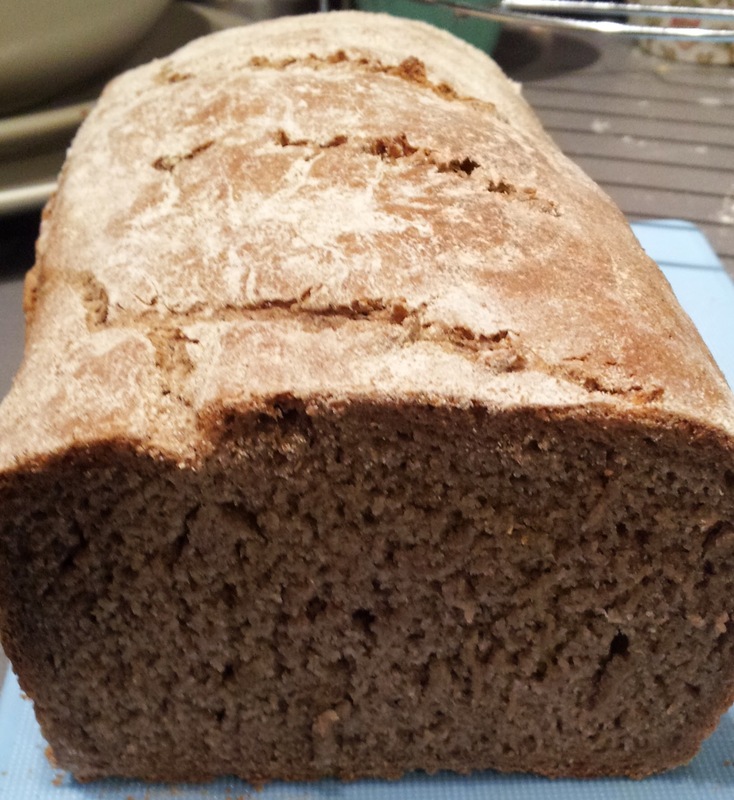 I started with a basic spiced cake, which didn’t turn out exactly right, and will have to be the subject of another go in future. The less said about it the better really. Next was an ancient Roman delicacy, the awkwardly named Placenta cake, that originated as a religious offering. 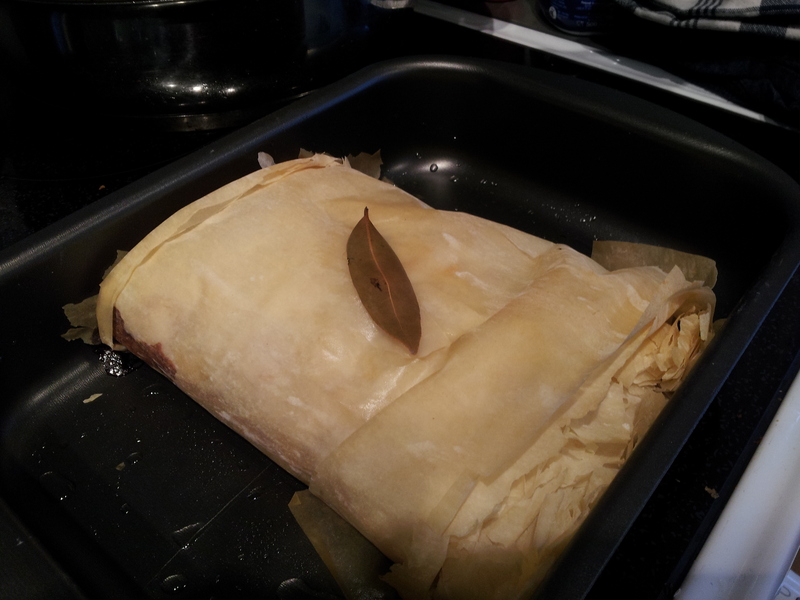 I found a great blog with heaps of recipes and did the modernised version and it worked well. As with Carthaginian porridge, there’s something about baked cheese and honey that I really like, and that the Romans apparently enjoyed as well. 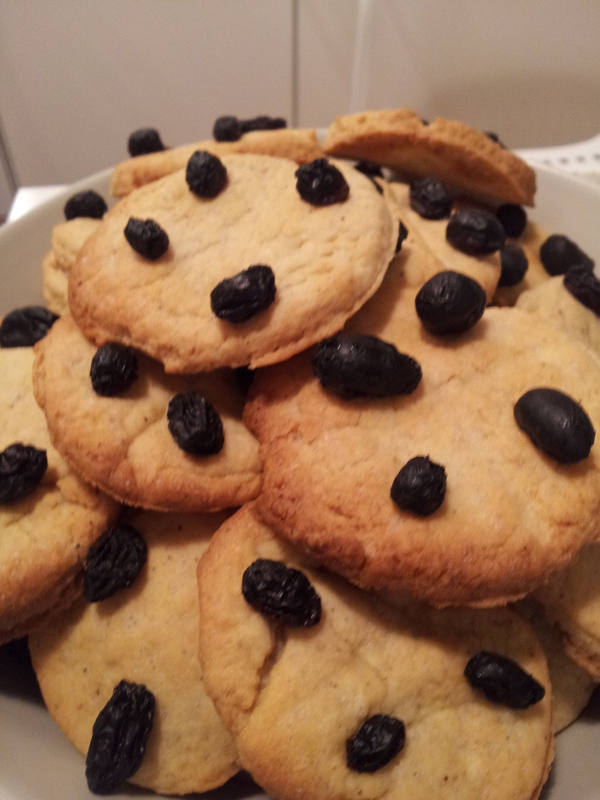 Thirdly Soul cakes, which was what I found when I searched for traditional Halloween cakes. They were originally made to honour the dead, and were handed out door to door, and might possibly relate to the origin of trick or treat. 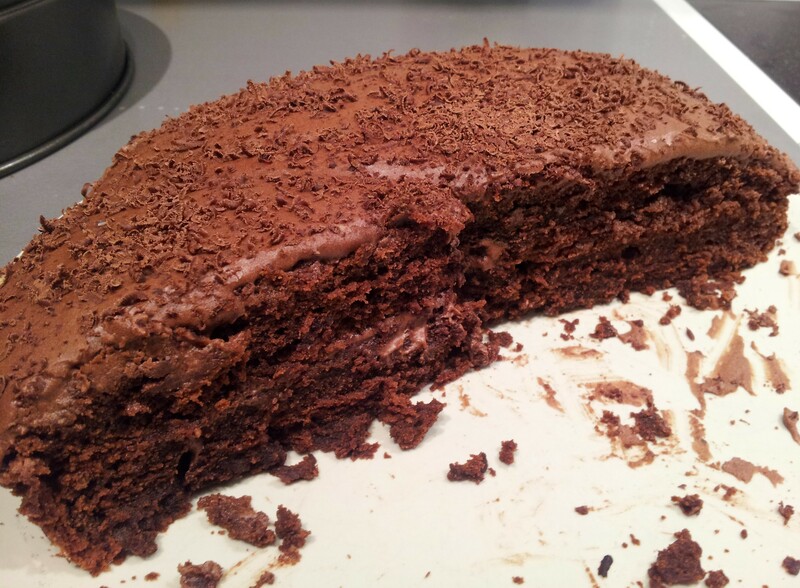 There are certainly tasty and easy to make, and my partner amazed even myself with his ability to make them magically disappear. My lesson from this cake though was not to put the raisins on while baking. Cooked raisins aren’t especially raisiny. 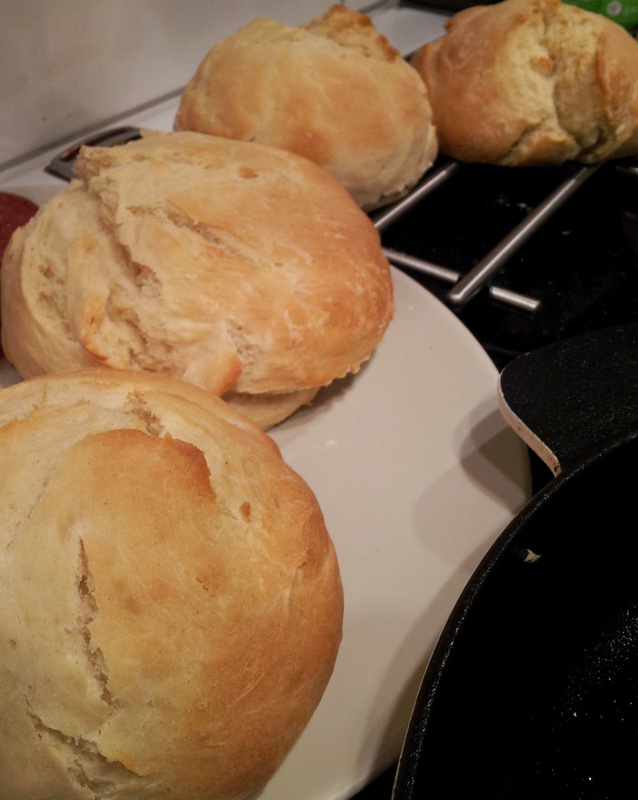 Finally I made a pile of rolls for dinner, using a miraculous recipe that only requires 30 minutes from start to finish. 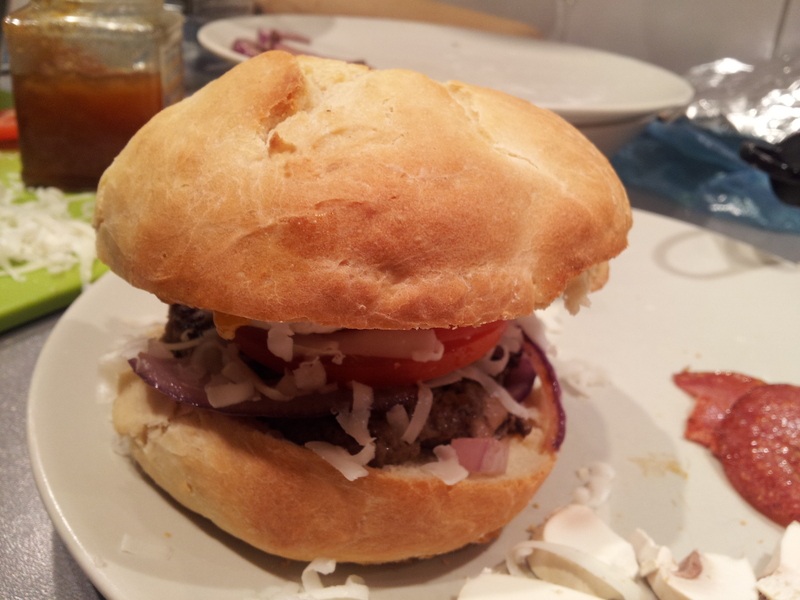 All delicious and fluffy and perfect with a homemade burger. Before you begin wondering where the normal blog went and why a kitchen-fancier has taken over, let’s leave the kitchen and discover another Halloween tradition. 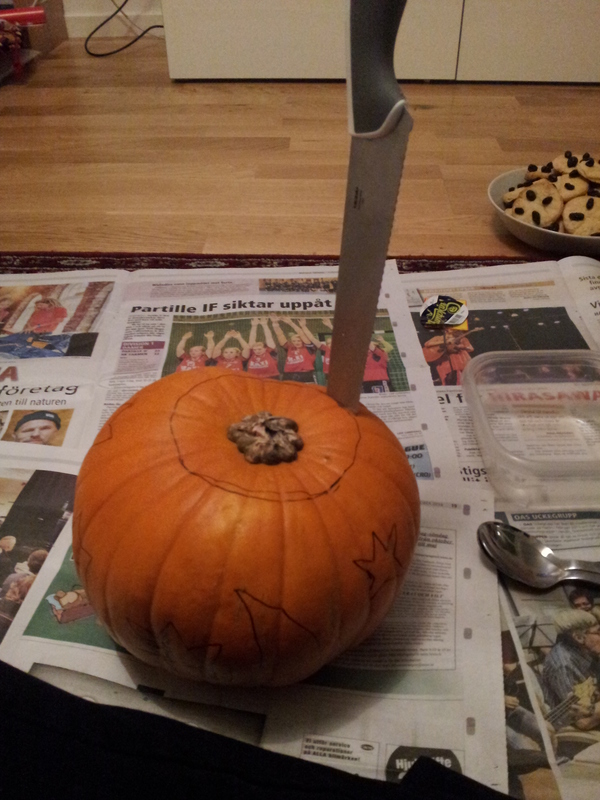 As I mentioned earlier, pumpkins were quite safe from the carving knife while I was growing up, but as part of our new life here in Sweden my partner and I decided to give the tradition a go. Fortunately there were 3 pumpkins left from the wagon loads earlier in the week when we wandered down to the supermarket on the 31st, and 2 of those looked decent enough for our purposes. Some googling and pondering gave us designs and steps, and so after dinner we sat down with a few episodes of Buffy and began to carve. It was surprisingly easy and we were both pleased with our attempts. 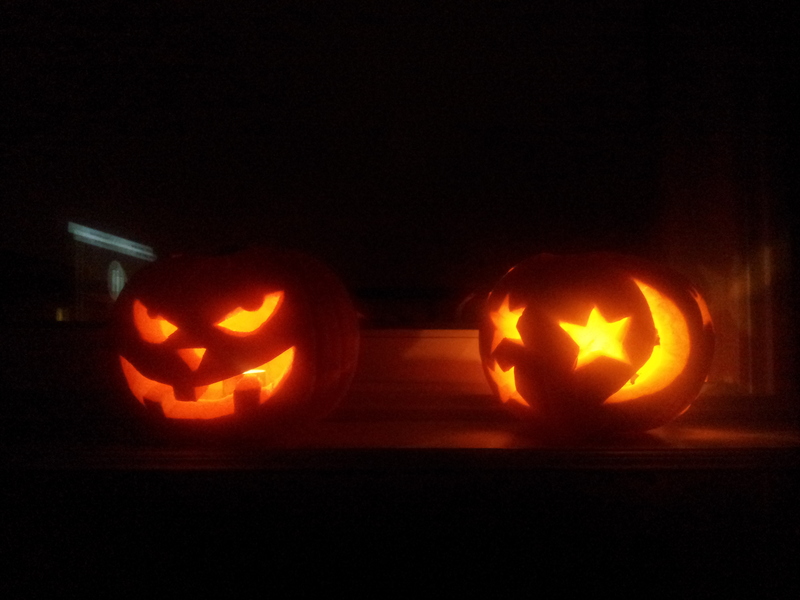 There will be more carving next year I am sure. The next day was partly spent preparing for the Halloween party that night, during which time we realised how under-prepared we were. 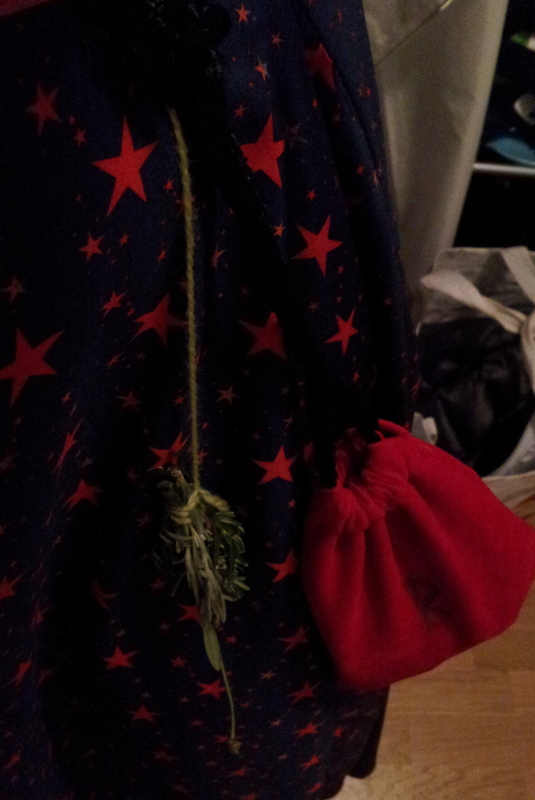 In order to use one of my favourite dresses I decided to be a witch, complete with a pouch of rune stones, a bunch of herbs, Freya and other suitable jewelry and my candle-lit pumpkin. My partner chose to become a ghoul, and was quite convincing, especially once he put on the cloak. We both did pretty well, considering it was our first time getting dressed up for Halloween. The party was a lot of fun, with spooky food, friends, new friends, music and a very wide range of costumes. 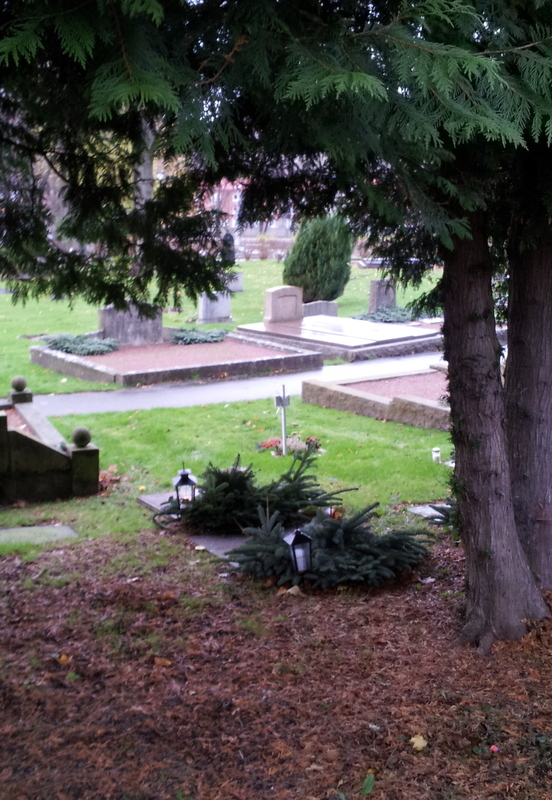 And during all these adventures in and out of traditions, the cemetery below our window filled with flickering candles and wreaths of pine and flowers. All Hallows Eve is celebrated over a series of days here in Sweden, so everyday the candles would spread just a little bit more, and we could see family and friends tending the graves and standing vigil. These lights in the darkness, and the remembrance of the dead are a nice counterpoint to the fun and silliness of Halloween. I can imagine people up and down Sweden dressing up as ghosts, monsters or beasts, and then the next day, with the face paint perhaps lingering behind their ears, they head to the cemetery to light a candle for their grandmother and think about those who have passed, and the thin barrier between life and death.